DJ was originally sold to a family as a companion. He was returned to us at 16 months of age as an unruly, poorly mannered adolescent. 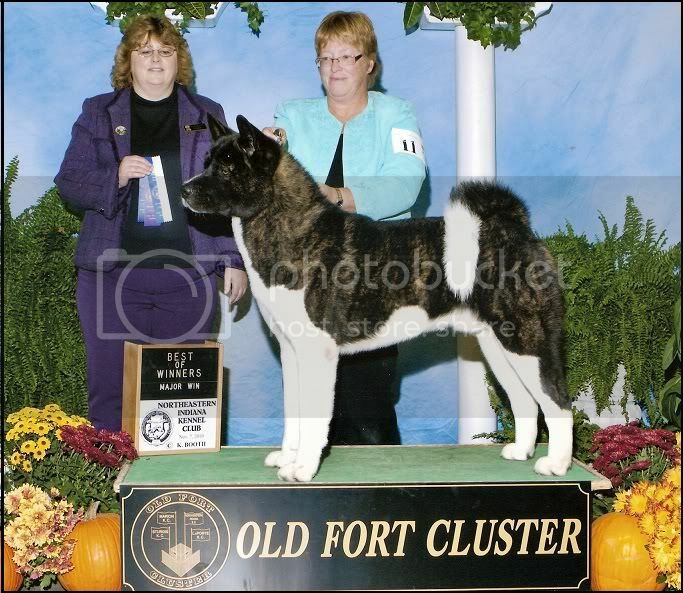 DJ walked into the show ring in November of 2010 for the first time, and finished his AKC championship nearly undefeated at Detroit Kennel Club in March 2011. DJ has Qualified to show at the Eukanuba National Dog Show in Orlando , Florida in December of 2011 with all of his points earned from the Bred By Exhibitor Class. It has been very rewarding to see this young fellow achieve his true potential and become the Champion we knew he could be.